The Gates at Valdosta has four spacious floor plan options so they will easily be able to find one to suit their needs. We have two-bedroom, and three -bedroom apartment homes. They each have their own bedroom and bathroom. 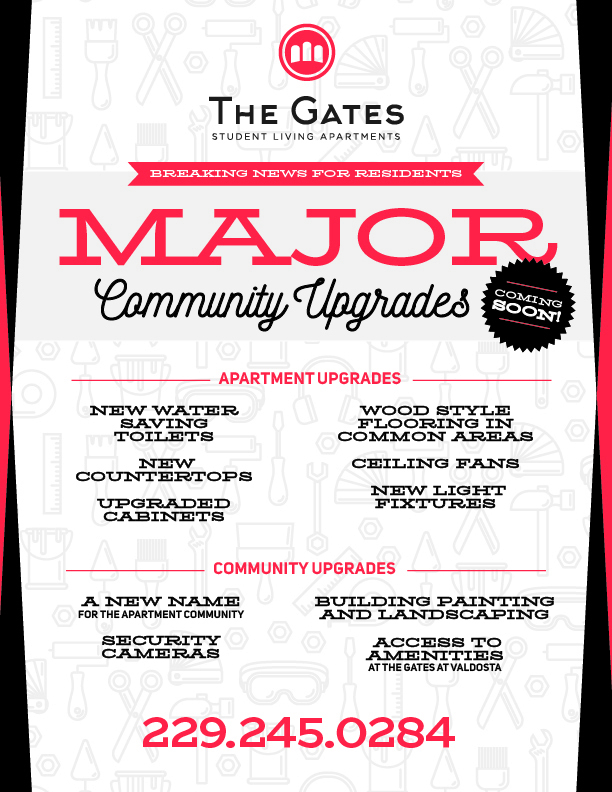 Your student’s rent includes water, sewer, trash, extended basic cable, wired and Wi-Fi Internet, furniture, access to The Gates at Valdosta amenities, and so much more!